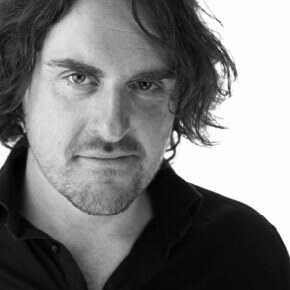 James graduated from Rose Bruford in 1994 and has worked regularly as an actor in theatre and TV. His career has been diverse appearing in the original West End cast of "The Beautiful Game", open air Shakespeare, pantomime, repertory theatre, off West End, number one tours, TV and music videos. James has also trained as a teacher for both adults and secondary school students. Recently he has developed his own approach to the art and craft of acting called "The Process" which is a fundamental element of the training at The Dorset School of Acting and will be publishing his book in early 2015. This approach has proven to be extremely successful with his students gaining places in Conservatoire Drama Schools and also actor's agencies. Laura started performing at the age of six and began her theatrical training in 1988 in local youth theatre. Having trained with the UK's leading vocal coach Mary Hammond, most of Laura's professional work has been in Musical Theatre both touring and off west end including "Grease", "The Little Shop of Horrors" and "Seven Brides for Seven Brothers". She has also worked in commercials and TV including ITV's Drama 'Alibi' with Michael Kitchen. Laura originally trained as an actor at East 15 Acting School. She then went on to specialise in voice completing her BA (Hons) Vocal & Choral Studies from the University of Winchester. Whilst completing her degree she had many opportunities. These included the chance to study in Sweden at SADA, devising work around different landscapes and exploring how that could communicate with a community, and studying Musical Theatre at Shenandoah Conservatory in Virginia, USA. In addition, she has a background in working with children. In her 3rd year of her degree she set up and ran a community Youth Theatre project in partnership with Winchester Student Hub. This project involved giving children of the community free creative arts workshops in drama, voice and dance and worked specifically to develop skills and requirements in workshop leaders to encourage children with Special Educational Needs. Having trained as a vocalist she has performed in Verity Standen's Arts Council funded project HUG in Eastleigh and at the Edinburgh Fringe Festival 2015, and performed as a choral back-up singer for Gene Simmons at Goodwood's Need for Speed Festival. 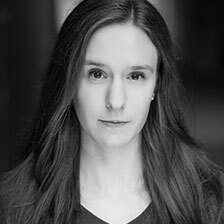 Most recently Laura completed her MA in Voice Studies from the Royal Central School of Speech and Drama and works in training accents and dialects and spoken voice. At the moment, Laura is currently in the process of becoming a certified Lessac Vocal Practitioner/ Teacher. Darren Bartlett is a local singer/songwriter, composer, arranger and performer with a diversity of talents, including vocal coaching, vocal performance and Piano. He is also a recognised internationally acclaimed choral composer and his published works include arrangements for choirs, solo voice, piano and ensembles. As a composer and arranger, he has over 300 titles and three full-length stage musicals to his credit. His works have been featured on BBC Radio & Television and have been performed and recorded in many arenas worldwide. His composition "Song of Peace" (Lyrics Dr. Wayne Bartlett) was recorded by the BBC Choir Boy of the year in December 2002 selling over 30,000 copies. Darren trained with the late Ian Adam, who was responsible for coaching Michael Crawford for his role in the Andrew Lloyd Webber blockbuster musical, The Phantom Of the Opera. Darren's portfolio of performances include many prestigious venues: in the UK at the Glasgow Royal Concert Hall, Birmingham Symphony Hall, Bridgewater Hall (Manchester), and in London, The Royal Festival Hall, The Queen Elizabeth Hall, Wembley, The Palace Theatre and The Royal Albert Hall. US Venues include the Hollywood Bowl, and in Canada, Roy Thomson Hall and the Toronto Ford Centre for the Arts. He has appeared on Canadian TV and his music has featured on US TV channels as well as popular UK tv and radio shows. He has maintained close links to home performing on a number of occasions at local theatres in support of many national and international charities. 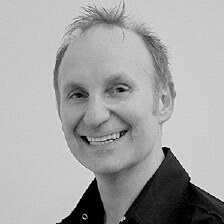 As a vocal coach, Darren teaches his children’s vocal group Dynamix Children's Choir on a weekly basis. Darren is also musical director for his adult choir Muzaria. In addition to being the vocal coach for The Dorset School Acting, Darren teaches for Dorset Music Service and a BA Honours Class at the Arts University, Bournemouth. 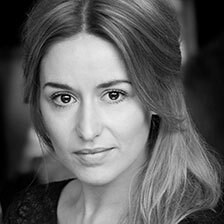 Jo Billingham trained at Birmingham School of Acting, graduating with a Masters Degree in Acting. She has a BA Honours in Applied Theatre, and originally qualified as a UKA accredited dance and performing arts teacher. 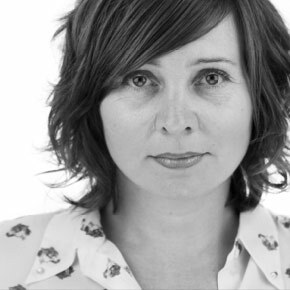 Jo specialises in movement and physical theatre for DSA- exploring free and creative approaches to devising movement and choreography. Alongside her teaching and workshop leading, she continues to perform and direct her own projects. 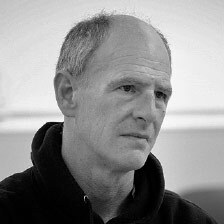 Peter began acting at The Royal Court Theatre, London, in 1978 where he worked with some of the leading directors and playwrights of the time, including Edward Bond, Heathcote Williams, Howard Brenton, and Caryl Churchill. Peter has been a professional actor for over thirty years. He has performed in countless productions from London to The Edinburgh fringe; from repertory companies to Large scale No1 Tours, national and international street theatre, commercials and voice overs. He has also appeared in numerous BBC dramas and plays for radio 4. One of Peter’s specialist areas is Improvisation for Performance. He spent four years on London’s Improvisation circuit which included a years residency at a top London Comedy Club. He continues to perform with his own Improvisation company and teaches the art of Improv to a broad range of people along with running Direct theatre School with his wife, Juliette.